Flash forward three and a half months, now I have a nearly six month old and my diaper bag necessities are a bit different. First things first, diapers. Up until just last month Crosby only fit into newborn size diapers, but finally she’s big enough for size one which meant we were able to start using Bambo Nature. We were introduced to this eco-friendly line back when I was pregnant and I couldn’t wait to use them. I just didn’t know how long it would take! I’d heard mixed reviews about other eco-friendly diaper lines – that they leaked or didn’t live up to their name. But I have nothing but amazing things to say about Bambo Nature. We’re using their wipes and skincare line too and everything is equally amazing. 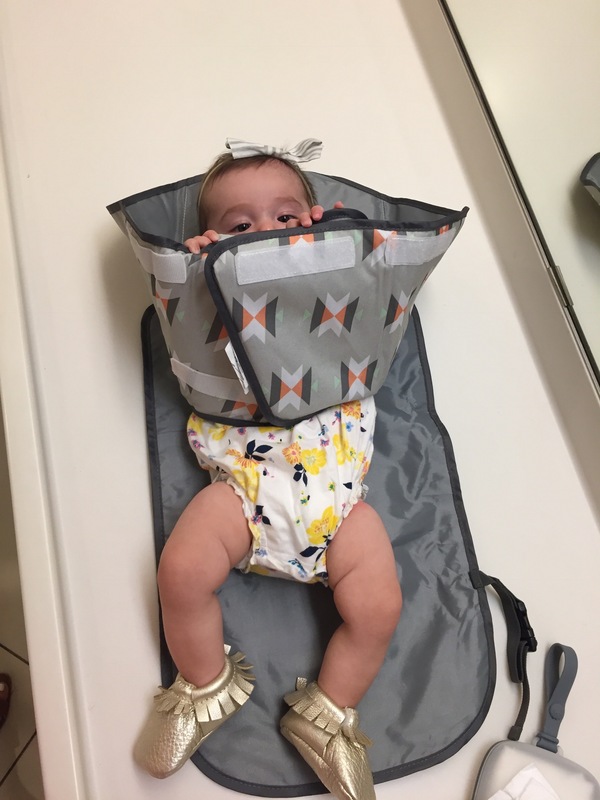 My other essentials are a bib, at least one burp cloth, light weight swaddle blanket, pacifier and paci case, at least one clean onesie, hat and sunglasses – in the summer.